Nintendo hasn’t exactly made it easy to find new friends on the Switch, still requiring you to enter friend codes for anyone you haven’t encountered in a mobile app or another Nintendo console, but that changes on March 13 with system update 5.0.0. Now, your social media followers can be added without needing a pesky 12-digit code. If you go to your profile on Nintendo Switch and select “add friend,” you’ll see an option labeled “friend suggestions.” From here, you can add friends you’ve played with on apps, Wii U, or 3DS, but you can also now use it to add your friends and followers on Facebook and Twitter. The days of putting your friend code as your pinned tweet on Twitter are behind you! You’re also still free to add friends to your account if you’re playing with them locally. Even if your console isn’t connected to the internet, the request to add them as a friend will be saved on your system until you’re able to get online again. Update 5.0.0 also gives parents a couple of new ways to monitor what their kids see on the Switch. Any videos captured in the album app will now be restricted based on the ESRB rating of the game they’re from. The parental controls app now allows you to whitelist any games you want your kids to play that would otherwise be restricted. If your kid is ready to turn demons into bloody giblets in Doom or solve a murder in LA Noire, now they can. For those who buy digital software in advance of a game actually releasing, the update also has a few new improvements for you. 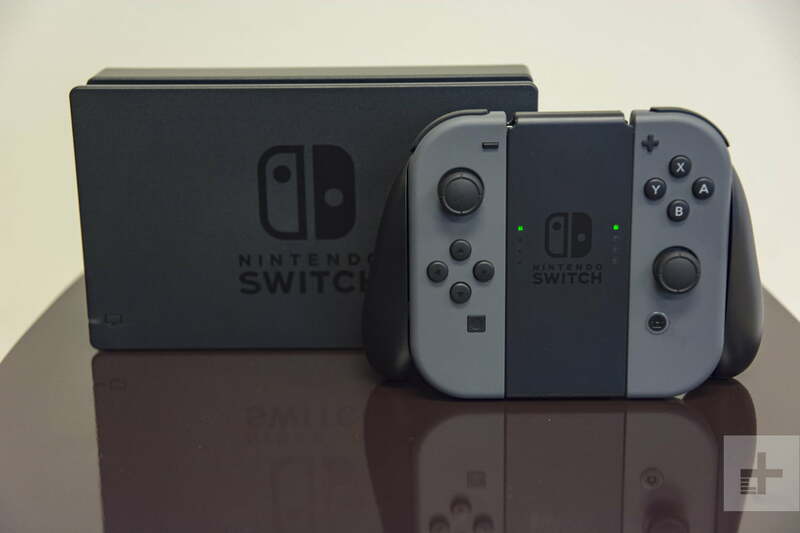 You’ll now get a notification on your Switch whenever a pre-purchased game is available to play, and any software you buy on your mobile device or PC will begin downloading on your Switch more quickly than it did in the past — provided that you don’t turn your system completely off, of course. New game releases are about to pick back up for the Switch after a slow first few months. Kirby Star Allies releases on March 16, and the Nintendo Labo building kits are out in April. Later this year, we’ll also get our hands on a new Super Smash Bros. game, and we expect to hear more at E3 in June.